Posted By:Unknown | At:8:27 AM Be the first to comment! 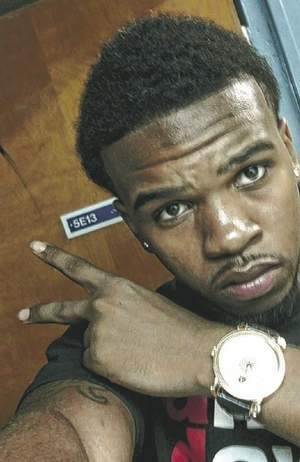 (Clarion Ledger) -- A fight at an off-campus pool party may have led to the shooting death of a Jackson State University freshman early Sunday morning. Nolan Ryan Henderson, 19, of Atlanta was killed at the Palisades apartments at 1400 Valley St., which is within walking distance of the JSU campus. "It's weird; it's horrible," said 26-year-old Jackson State student Chris Davis of Michigan. "He was 19. You haven't even experienced any of your life at that age." Henderson was found on the ground in front of one of the apartment buildings. He was pronounced dead around 2:15 a.m. from a gunshot wound to the face, Hinds County Coroner Sharon Grisham-Stewart said. Henderson's grandmother, Alma Henderson of Greenwood, said her son, Nolan Ross Henderson Jr., was told his son, called Ryan, had bumped into someone at the party, apologized but a fight occurred and then he was shot. "My son is in shock," she said. Her son, who lives in Stone Mountain, Ga., told her in a 2:50 a.m. phone call that his other son - Ryan's younger brother- found out from Twitter that Ryan had been killed and awakened him. Her son called Ryan's roommate and girlfriend, "and they confirmed it was true," Alma Henderson said. "The roommate even told him he saw them covering him up." Jackson police released little about the shooting. Department spokeswoman Colendula Green said detectives were interviewing several witnesses.